Ronssoy is a village situated in the far north-eastern corner of the Department of the Somme, 20 kilometres north-north-west of St Quentin. 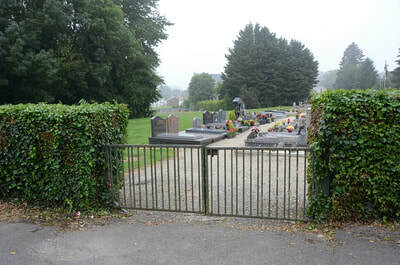 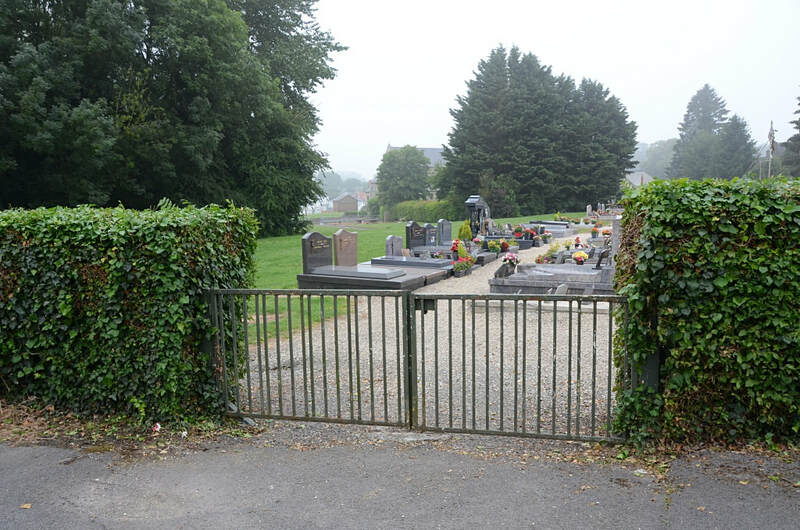 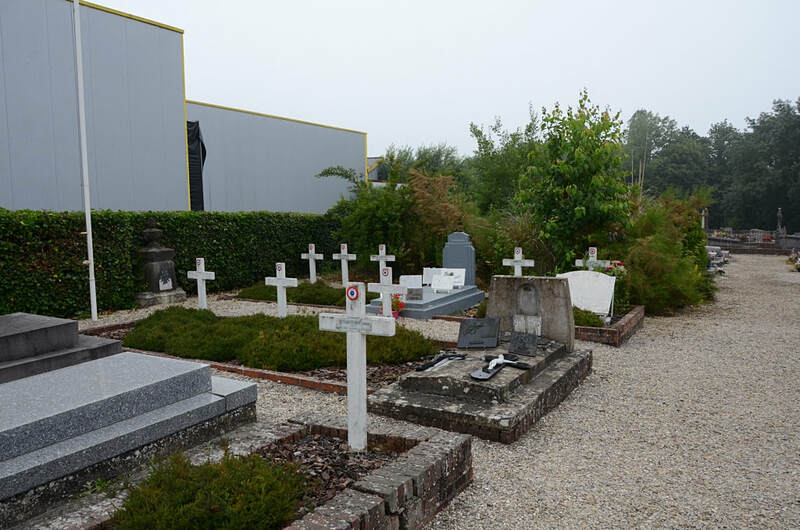 The Communal Cemetery is not visible from the road but will be found just opposite the village Marie, behind a row of buildings. The Commonwealth War Graves plot is located at the lower left hand corner of the civil cemetery and is surrounded by beech hedging. 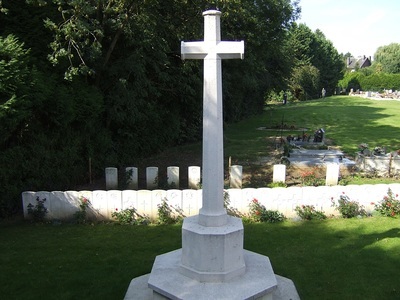 Ronssoy was captured by the 7th Royal West Kent on the 18th September, 1918. 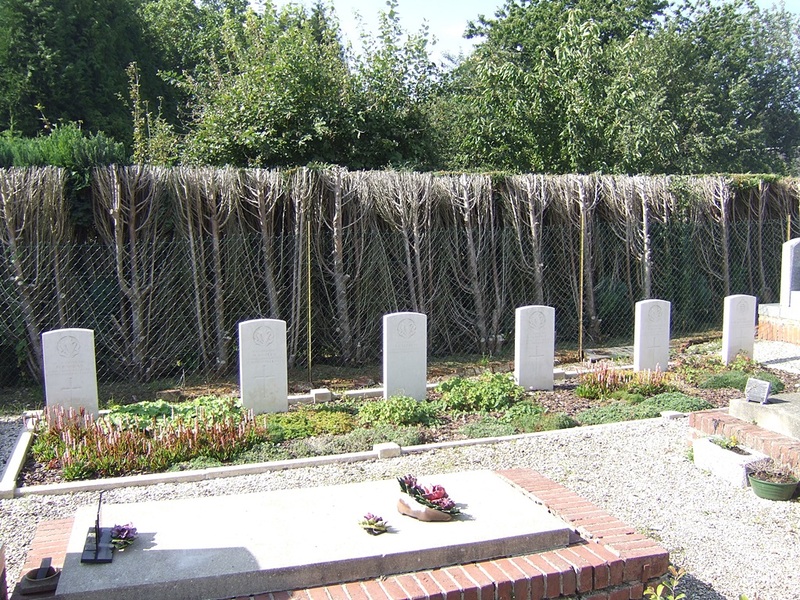 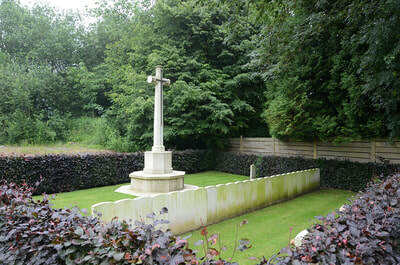 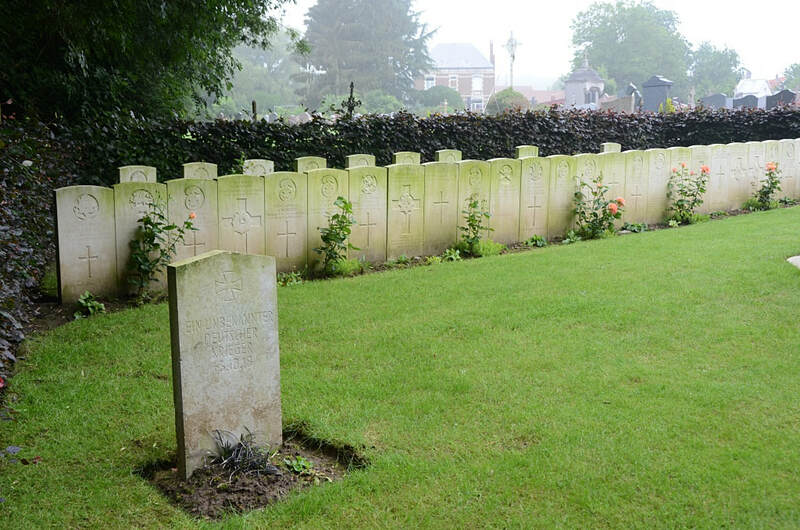 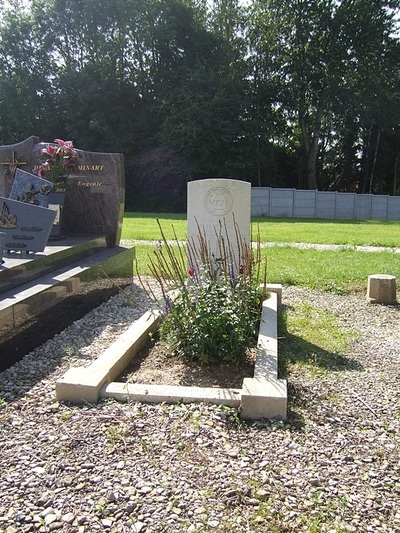 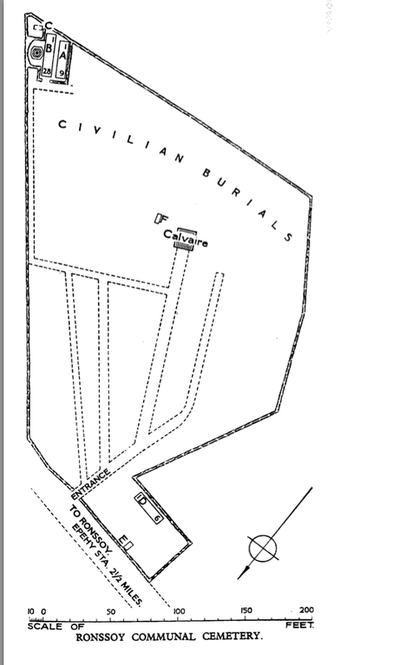 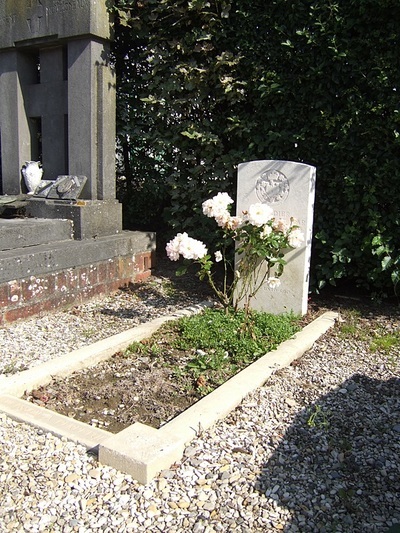 The Communal Cemetery had been used by German troops, and eight United Kingdom soldiers were buried by them. 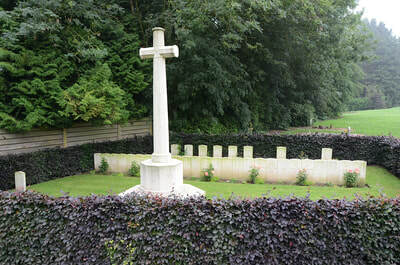 The rest were buried by British troops in September and October, 1918. 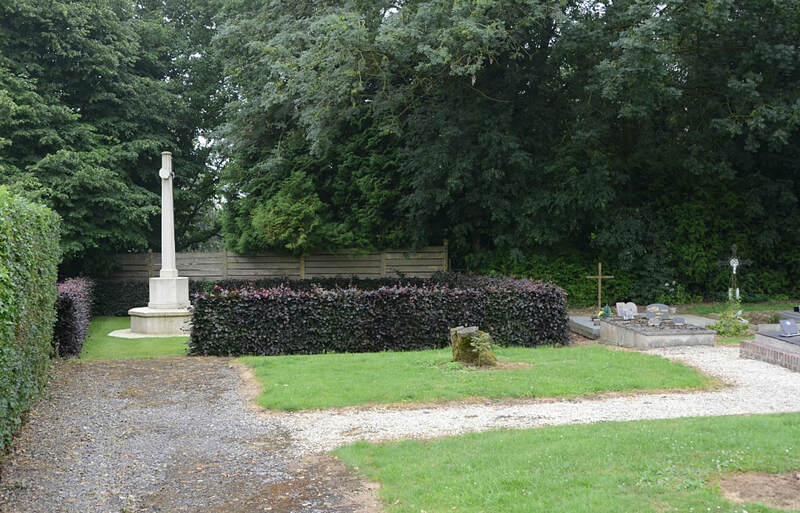 The larger British plot, covers an area of 174 square metres. 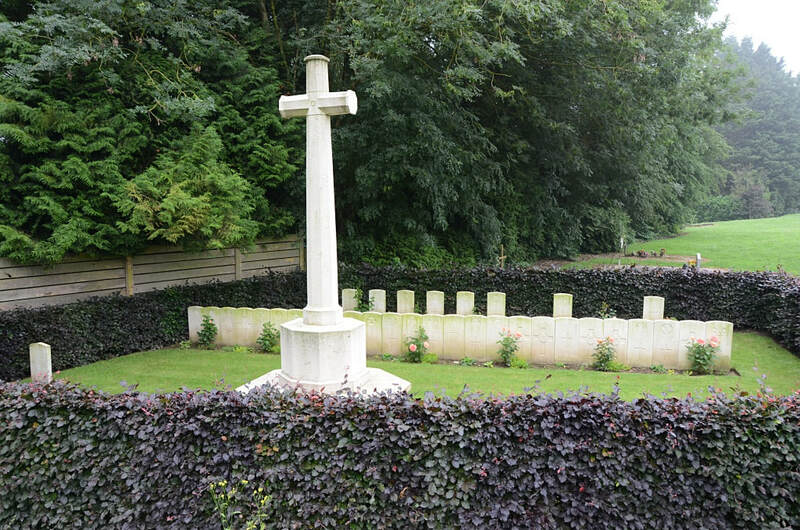 Casualty Details: UK 38, Australia 7, Total Burials: 45.